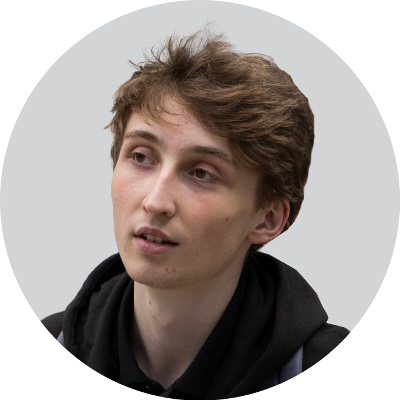 I am Thibault Allançon, a second year French student at EPITA (a computer science school near Paris). I am deeply interested in programming and algorithms. I mainly code in C++, C, Python, and most recently in Rust and Caml. gitrs: a re-implementation of the git version control system in Rust. yaos: a simple and small x86 operating system in C and asm. prologin2018: rules in C++ of the game used for the Prologin 2018 finals. mlai: implementation of various machine learning algorithms (neural network, regression, svm, k-means). OCR: Optical character recognition software written in C.
Pacification: civilization-like 3D multiplayer game made with C#/Unity. I greatly enjoy contributing to computer science related associations, such as Prologin and France-IOI. Concerning Prologin, I was finalist in 2015 and 2016 of their national contest, and joined in as an organizer in 2017. Same story goes for France-IOI where I took part in the Algoréa contest final in 2014 and national selection in 2015, before helping out as a trainer in 2018. A few years ago I wrote more than 30 articles (in French) about algorithms. I learned a lot, but writing is not a priority for me anymore. Most of the articles are pretty basic (data structures, sorting, encryption, searching), but the latest are definitely more interesting such as the ones on artificial intelligence or optimization methods like dynamic programming. You can still find the full list of articles here.